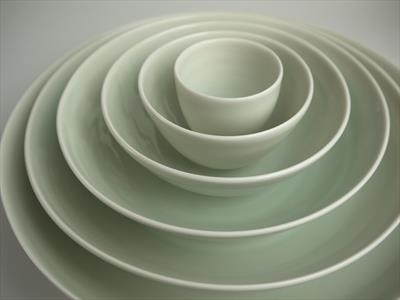 Can come in anything up to a set of 9 bowls (£600 - 1200). Please enquire for different colour options and price of different size sets. If not in stock, will take 2-3 weeks to make.